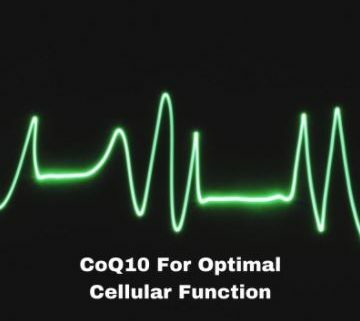 CoQ10 is an antioxidant that is vital in the function of optimal cellular function. It’s so important that our bodies actually make it. Without normal amounts, your cells may not produce optimal amounts of energy (ATP). It’s like a car without gas. CoQ10 is also used in normal signaling of cells in gene expression. Important right? Unfortunately, as you age the levels of CoQ10 decrease. Also, a large portion of the country takes cholesterol lowering statins. Taking statins could lower levels as well. This is not good. The heart, liver, pancreas and kidneys contain the highest levels. Thus, waning levels affect the vital organs significantly. Studies show CoQ10 supplementation is effective against heart disorders. After one year of supplementation, congestive heart failure patients went to the hospital less. Significant declines in pulmonary edema, cardiac asthma, and arrhythmia did occur. Besides heart function improvements, studies positive results for fatigue, physical performance, and decreased levels of muscle injuries and stress. The evidence for the latter improves is less robust. Studies here and here. Where Do You Find CoQ10? CoQ10 can be found in a supplement form, or you can get if from organ meats! Delicious… Trace levels can be found in olive oil and pistachios. So unless you eat a lot of organ meats, supplementation could be beneficial. There are no known serious side effects of CoQ10 supplementation. As always, consult your physician whenever taking supplements since they can render medications less effective. If you want to enhance the process of energy production in cells, then consider supplementation. Spinal structure enhancement is important in the function of muscles, tissues, and organs as well. Take a 100 watt light bulb. If obstructions exist between the outlet and the bulb, the bulb may work at 70%. The same principle extends to spinal nerves (electric wiring of the body) and Structural Shifts of the spine. Structural Correction chiropractic, directs spinal segments to a normal alignment removing obstructions from spinal nerves. For more information about Structural Chiropractic in Birmingham, Alabama click here. http://www.corebirmingham.com/wp-content/uploads/2018/01/coq10.jpg 360 360 Dr. Garrett Chow http://www.corebirmingham.com/wp-content/uploads/2016/11/core-chiropractic-logo-1-1030x103.png Dr. Garrett Chow2018-01-29 16:09:572018-03-01 16:56:03Energy Optimization with CoQ10?